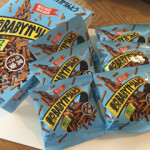 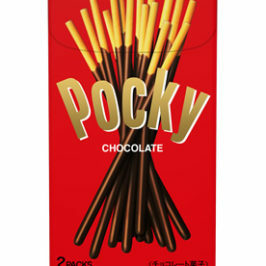 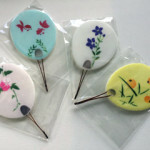 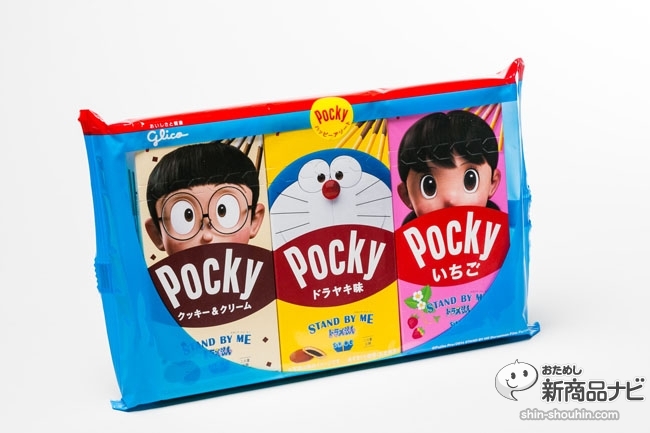 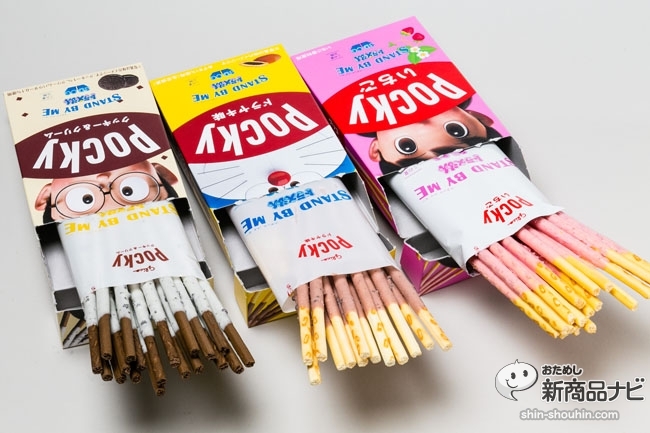 It contains Pocky with 3 kinds of flavors ; dorayaki, strawberry and cream cookie. 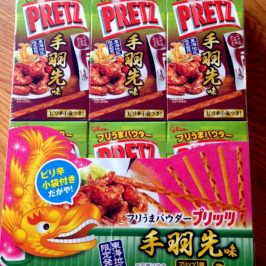 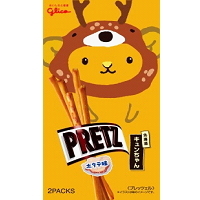 Cream cookie taste is a cocoa pretzel which is coated with white cream containing cocoa cookie crunches. 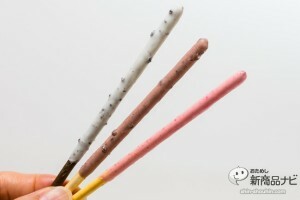 Strawberry taste is light pink color and flavor of a sweet-sour strawberry spreads in your mouth. 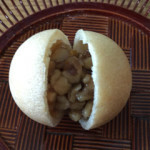 Dorayaki taste is a favorite okashi of Doraemon. 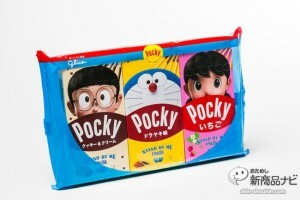 The Doraemon cartoon is popular among people of all ages both in and out of Japan. 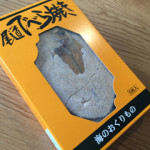 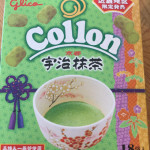 So, this okashi was popular and it was all sold out immediately.